Mctaggart-cowan, Ian. "Mink". The Canadian Encyclopedia, 04 March 2015, Historica Canada. 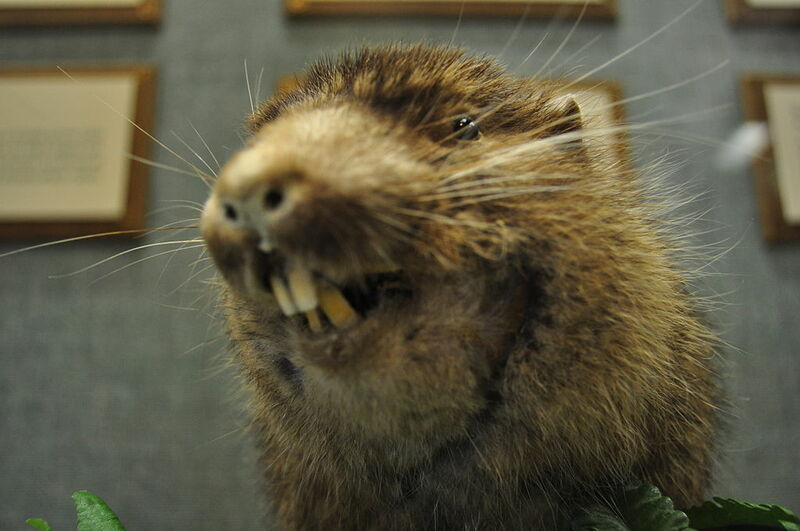 https://www.thecanadianencyclopedia.ca/en/article/mink. Accessed 24 April 2019. The American mink (Mustela vison) is a small, amphibious weasel inhabiting wetlands throughout Canada, excluding the tundra, and abundant on the BC seashore. 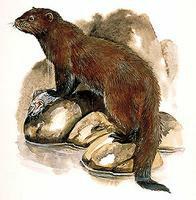 The sea mink, now extinct, was able to dive deeply to capture fish, frogs and other marine prey (artwork by Jan Sovak,1989). Mink are dark brown with some white on the chest and abdomen. Although the feet are not webbed, mink swim and dive well. The fur is dense and lustrous and serves as insulation even in water. Males reach 1.8 kg in weight and 60 cm in length; females weigh less than 1 kg. 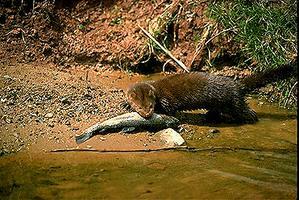 Mink feed on a variety of fish, invertebrates (especially sea crabs), small mammals and amphibians. Except along the Pacific coast, they breed Feb-Mar and give birth in late Apr and May. 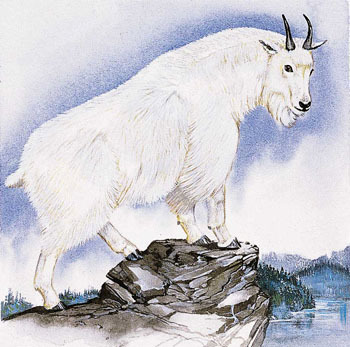 On the coast they breed May-June and give birth in July. The litter size is usually 5 (range 1-10) and young reach adult weight in 4 to 10 months (females and males, respectively). 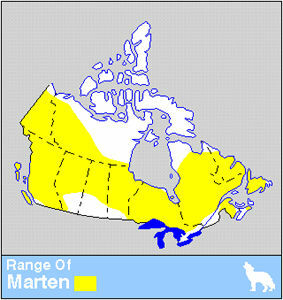 The mink is the most valuable Canadian fur-bearer. In 1993-94 almost 34 000 mink were trapped and over 788 000 were produced on fur farms. See also Fur Farming; Fur Trapping.